PTP Apprenticeship Awards 2015 | Steel Processing (Midlands) Ltd.
“Charity joined Steel Processing Midlands on a Performance through People sponsored apprenticeship scheme, she settled into the accounts department very quickly and demonstrated an enthusiastic approach to learning. By listening to her peers and accepting advice when given she has gained a good understanding of the procedures and disciplines employed in an accounts office. We are all very proud of Charity’s achievements to date and will continue to support her commitment to further education. 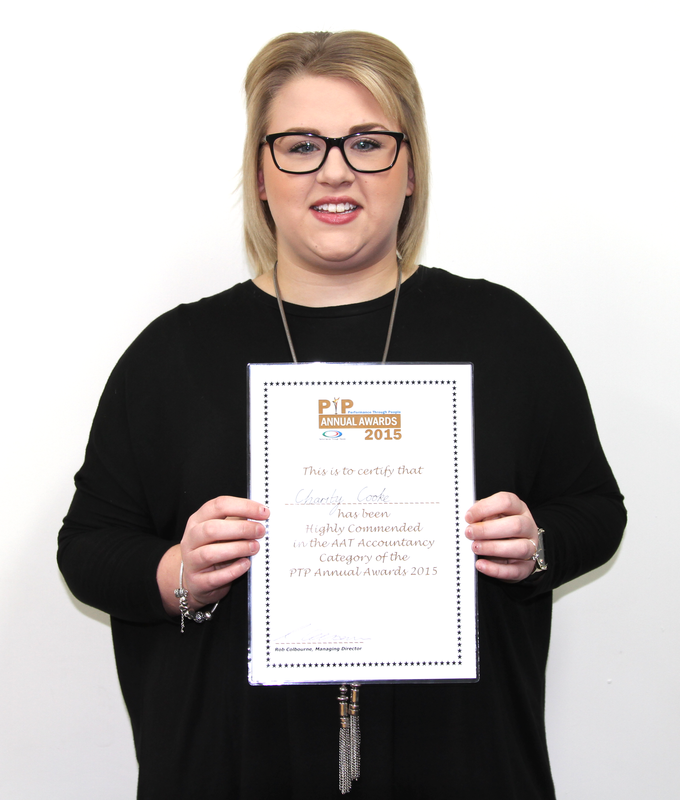 Hopefully she will gain additional recognition over and above the award she has just received from PTP for outstanding performance in the AAT Accountancy Category Annual Awards.” - Kevin Haynes, Managing Director. “My apprenticeship has been a big change from my previous experience and very challenging at times but it has been worth every effort, I am thankful for the opportunities that SPM has given me and I’m looking forward to my future career in accountancy” – Charity Cooke, IAB Level 2 Apprenticeship in Accounting for Business.